Blessings to each of you as you consider, begin, or continue your ministry! 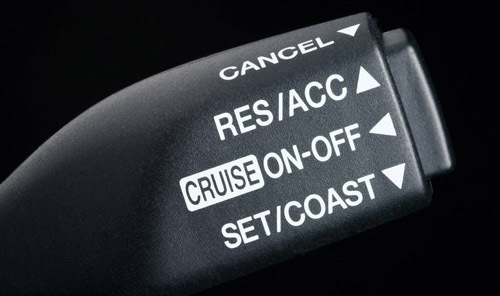 It is so easy to go through life on cruise control. You wake up, go to work or class, study, run errands, and then go to bed. Seminary is a wonderful time of preparation for ministry, but it is also a place where ministry has already begun. As a Christian, we ought to live our life as a blessing for others. Habits that effective pastors have built into their everyday routine did not all of a sudden appear when they became ordained. They were habits that were developed long ago before they ever were called or appointed to a church. I write this blog post to encourage all of us not to live our lives on cruise control. We are so blessed to be able to have the freedom and opportunity to come to a place to learn, realize our gifts, discern our call, meet other Christians that are passionate about the same things, and to have the opportunity to live into an effective ministry-filled life right now. Sadly, many of us – myself included – reason our way out of risks or opportunities to be a blessing to others. We find ministry to others to be inconvenient, and sometimes we lack the courage to step out in faith and allow the Holy Spirit to work in us. Pittsburgh is a city bursting at the seams with opportunities to positively touch the lives of other people through the many ministries and organizations. My prayer is that all of us are living a life that is intentional about hands-on ministry shaped by our theology. My hope for us all is that we would be bold enough to allow God to use us to bless, encourage, minister, love, and to reach one person. I leave you with a quote, “God doesn’t call the qualified, He qualifies the called.” As Christians, we are all called. Let’s allow God to use us to make a difference. 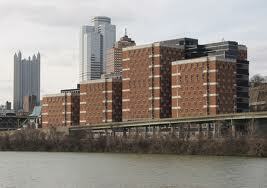 My time at the Allegheny County jail chaplain’s office has taught me many aspects of ministry. As a jail chaplain one has to work with the inmates and their families on the outside. This context of jail ministry involves bridging the gap between society and those who are on the fringes. The setting of the jail is made up of 2,600 inmates at one given time. There are 8 floors for men and three pod units for women. There are three levels of incarceration from maximum, medium, to minimum security for the inmates. The inmates consist of all walks of social life. They come from upper class, middle class, and working class families. The ministry context about which I am writing in my situation is applying Christian education to family ministry. Christian education in jail ministry settings is essential for bringing forgiveness and change. Sharing the gospel through scripture is a powerful experience for not only the inmates, but for me as well. Often, I bring Christian devotional resources to encourage the inmates to continue to study. I have learned that ministry is not a pew-to-pulpit relationship and I feel that God has called me to serve in the Jail. My education at PTS through classes like Pastoral Care has helped me to share the love of Christ with those who desperately need a message of hope. Every time I walk through the doors of the jail, I draw upon what I am learning here.